Georgina Fuggle’s fragrant coconut rice is the star of the show in this delicious Japanese-inspired main course. 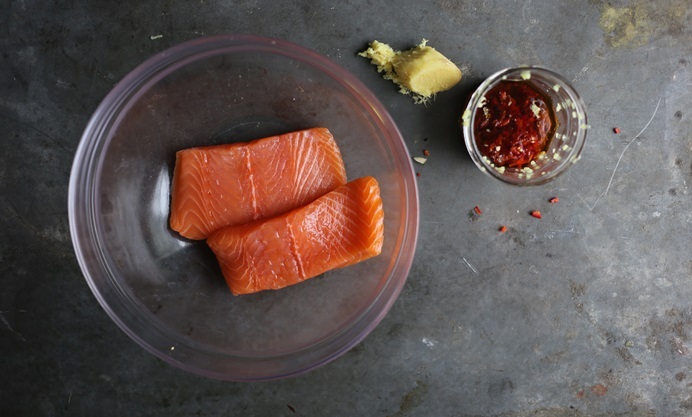 The rice’s subtle, sweet flavour perfectly complements the slightly sour cucumber and smoky salmon fillets. Georgina uses the coconut milk tin as a measuring guide, saving you some washing up. 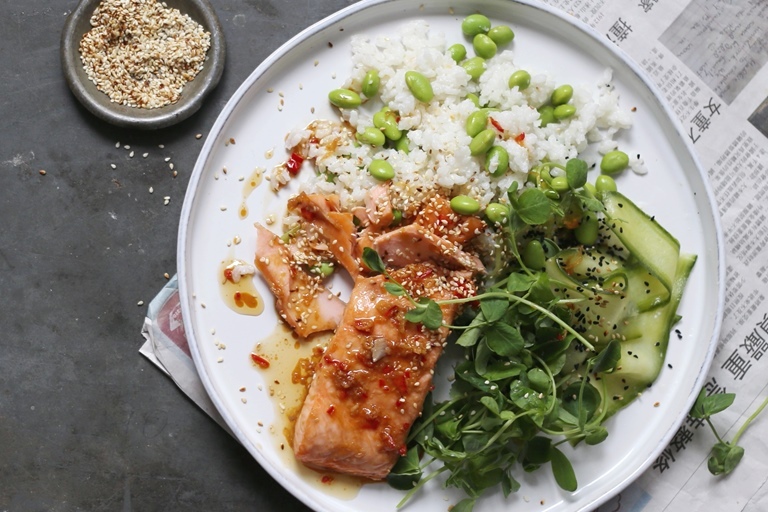 This succulent pan-fried, lightly smoked salmon dish is accompanied by one of the most delicious and popular rice dishes and rounded off with crunchy pickled cucumbers. 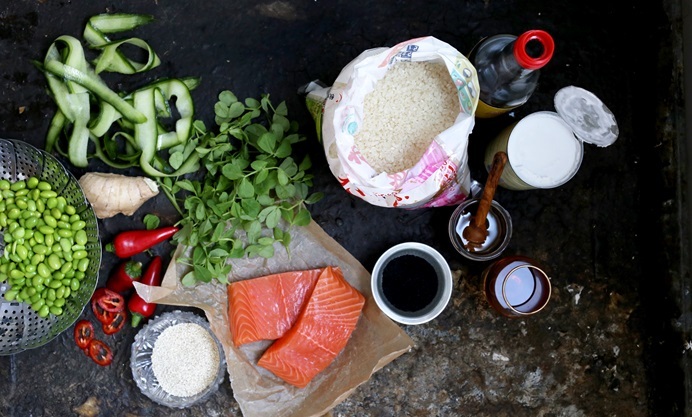 Sticky rice instantly conjures up feelings of comfort and a spell of moreish hunger. In this recipe, the rice is slowly cooked in thick, creamy coconut milk, turning a staple grain into a savoury mound of fragrant deliciousness. And even better it's super easy and rewarding to cook. 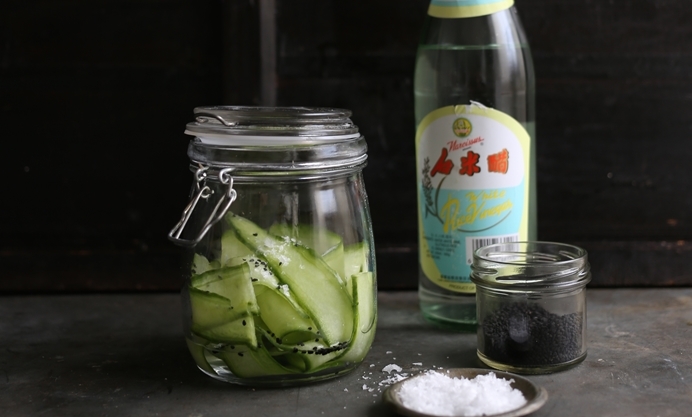 The rice has two ingredients and one very important tool – its very own measuring tin. 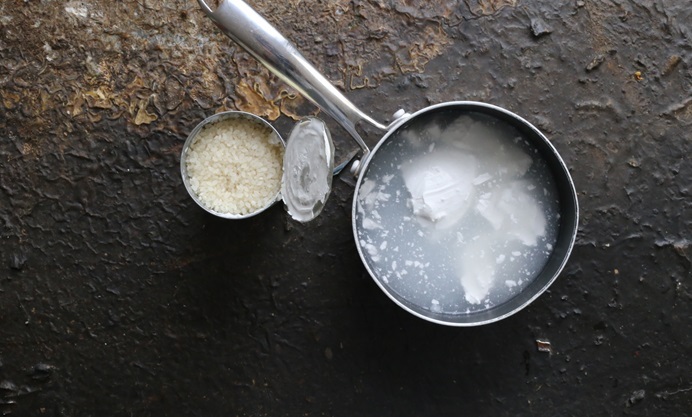 By using the coconut milk tin, first by emptying out its thick, creamy contents, then by filling it with water and finally by using it as a guide for measuring the rice, you can easily create the perfect coconut rice. 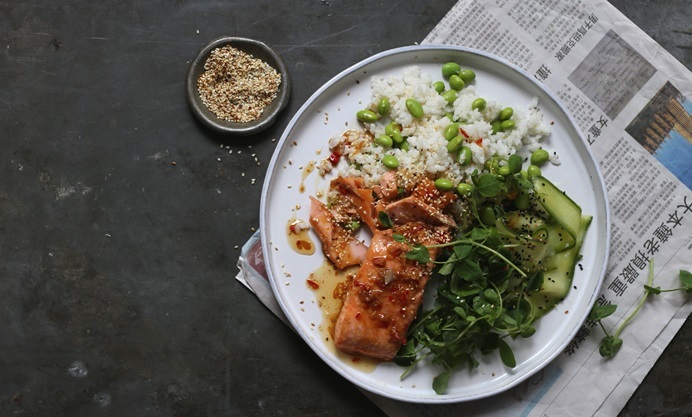 Alongside the star of the show is a lightly marinated, sticky fillet of salmon, topped with nutty sesame seeds and pea shoots, as well as ribbons of the pickled cucumber. This dish is fabulous for sharing with friends on a warm summer's day, but is delicious all year round.